Liberia has become the bio-terrorist of the new modern age, a sort of North Korea with personalized, microscopic nukes. And this state of mind, which holds that Liberians are proliferators of deadly agents, is far more destructive than the EBOLA virus which has lamentably claimed 5,000 lives in three countries. Coupled with our own ignorance and fear in Liberia and the continuing loss of our compatriots, the internationalized STIGMA of our people and country has far reaching and deleterious effects in every sphere of our society and economy. The loathing, suspicion and mistreatment of Liberians gallop into a surreal career of its own, creating a brand, a “STIGMA” which nobody wants. But is the authoritative Washington Post factually correct when it feeds the hysteria by publishing hyperbole that the streets of Monrovia are littered with EBOLA dead bodies? It is not. Are not the International Community in part responsible for the deaths given that they have long ignored, facilitated, aided and abetted the local circumstances which produce the current state of affairs? They are. Should not Liberia’s leadership accept ownership of this crisis by virtue of its incompetence, vanity, ignorance, selfishness, corruption and endemic dishonesty? They must. Are we -private citizens- not culpable when we have not forced our leaders to account? We are. Paradigm shifts. Ebola has upended everything in Liberia as we know. It has thrust into disinfecting daylight the sham of government while ripping away the neat bandages covering the festers of old national sores. And in spite of the epidemiological projections of near genocide the disease will be stopped if only because this evil, surreptitious scourge threatens the lives and economies of people who have the financial, technical and medical resources to stop it in its tracks. But here’s the rub. 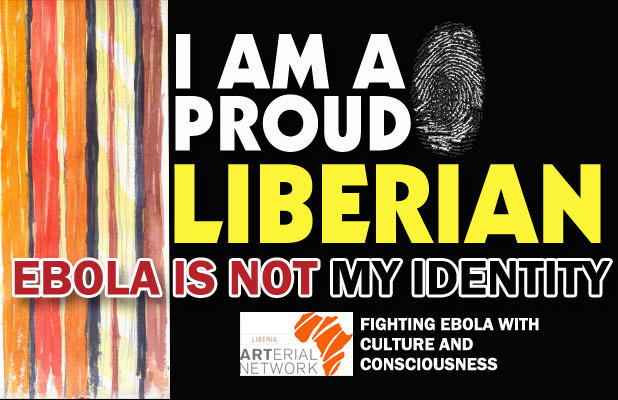 The “STIGMA” which now pervades affects all Liberians everywhere. No Exceptions! Whether you are born Liberian but naturalized in another country, of Liberian parentage born in another country, Liberian legally resident elsewhere, a Liberian resident in Liberia, or a Liberian disguising your Liberian origins, the “STIGMA” applies. You are to be avoided, watched and monitored…for a lot longer than 21 days. But this is also the thing which underscores a common origin, a common heritage, and a unity which we have ignored. And EBOLA has also arrived with improbably beneficial effects because irrespective of your economic capacity, your occupation, your level or lack of education, your age, your ethnicity, your class, your opinions, your religion, your political affiliations, your talents, your aspirations, your sexuality, or your achievements and failures, EBOLA has returned ALL Liberians to sender. This disease cuts a pitiless swathe. And try as we might to evade, avoid or escape the association we still have a common challenge. Like it or not, we ALL carry the burdens and promises of Patrick Sawyer and Thomas Eric Duncan…without touching. STIGMA by definition is a BRAND. In Liberia’s case stigma is nationalism turned inside out. Stigma exposes the worst so that we can begin a path to achieving the best. Stigma forces us to return to the essence and place of our existence…why do we exist in the contexts that we do? And the answers to that question are not as difficult as they may appear to the extent that we understand our connections and responsibilities to each other as Liberians. It is only thru unified and collective actions that we can reverse or overturn the stigma. Charity, Health, Security, Hope, Prosperity and Success truly begins at HOME, and that must be the kernel of the new Nationalism going forward. A draft of this piece was originally published in the Liberian Observer. Posted in Perspectives, Photo Journal. Bookmark the permalink.